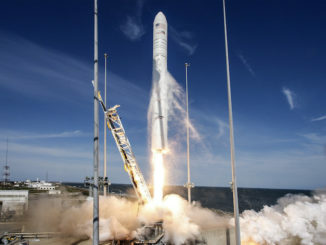 A commercial Cygnus cargo freighter packed with 3.8 tons of medical and pharmaceutical experiments, technology demonstration hardware, CubeSats and crew provisions rode an Antares rocket into orbit from Virginia’s Eastern Shore on Wednesday afternoon on the first leg of a day-and-a-half journey to the International Space Station. 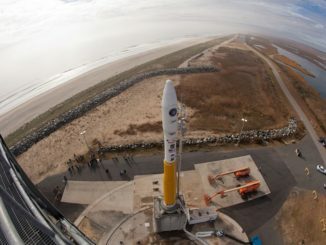 Technicians working at launch pad 0A at NASA’s Wallops Flight Facility in Virginia completed the final loading of cargo into Northrop Grumman’s Cygnus supply ship late Tuesday, and the Antares rocket was raised vertical again in preparation for Wednesday’s countdown. Northrop Grumman’s Antares rocket will deliver a Cygnus supply ship into orbit Wednesday to begin a day-and-a-half pursuit of the International Space Station. 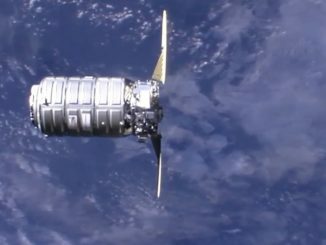 A day-and-a-half after launching from Virginia aboard an Antares rocket, a Northrop Grumman Cygnus supply ship loaded with nearly 7,600 pounds of experiments and provisions arrived at the International Space Station on Friday. Astronaut Anne McClain captured the Cygnus spacecraft with the space station’s Canadian-built robotic arm at 5:28 a.m. EDT (0928 GMT). 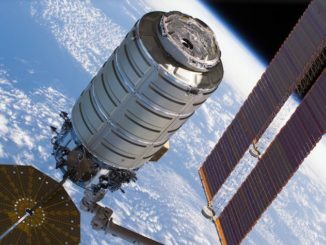 The next Cygnus resupply mission to the International Space Station set for liftoff Wednesday from Virginia’s Eastern Shore will introduce new capabilities for the commercial cargo freighter, including a longer operating life enabled by fuel-saving gyroscopes to support an extended mission months after the spacecraft departs the International Space Station, Northrop Grumman officials said. A two-stage Northrop Grumman Antares rocket rolled out of its horizontal integration facility Monday for the mile-journey south to launch pad 0A at the Mid-Atlantic Regional Spaceport in Virginia, where liftoff on a space station resupply mission is scheduled for Wednesday. 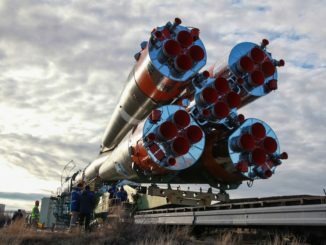 A Russian Progress resupply and refueling freighter launched Thursday from the Baikonur Cosmodrome in Kazakhstan on top of a Soyuz booster. 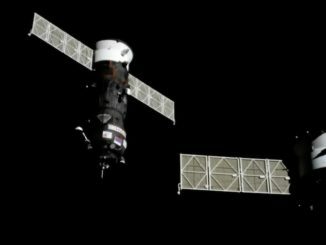 The cargo craft completed the fastest rendezvous in the history of the International Space Station program with a successful docking less than three-and-a-half hours later. 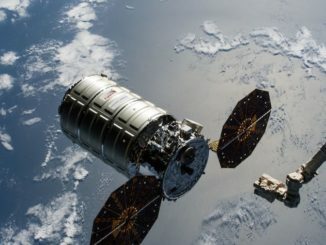 Northrop Grumman is gearing up for up to four launches this year at Wallops Island, Virginia, including two launches with Cygnus cargo ships heading to the International Space Station, and a pair of Minotaur rocket flights carrying classified payloads into orbit for the U.S. government’s spy satellite agency.